Update Aug 16th: A few potential qualifiers have indicated that they won’t be racing, I have crossed them out in the list below. Update Aug 18th: A few more DNS after the Pro Meeting sign-in. The Course Rating for IM Sweden is 18:18. IM Sweden is a P-2000 race. 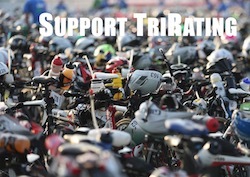 It is an MPRO-only race and has a total prize purse of 40.000 US$. The strength of the field is 12% of a typical Kona field. There is a number of athletes that probably planned to do IM Sweden in case they missed qualifying (such as Thiago Vinhal, David Plese, Mark Duelsen or Daniel Fontana). As indicated by the “*” a lot of athletes have also registered for other Ironman races a week before or even on the same weekend. It is quite likely that there will be some changes before race day. Giulio Molinari, Denis Chevrot and Harry Wiltshire already have a good number of points, a fifth place or better should be enough for them to get an August slot. Daniil Sapunov, Michael Weiss, Cameron Wurf, Markus Fachbach, Justin Daerr and Nick Baldwin need at least a podium, probably even a second place. Among the field, Thiago Vinhal, David Plese, Marc Duelsen and Daniel Fontana have already qualified in July.